Wat Suwannakuha is called "Monkey Temple" or "Cave Buddha Temple" is a popular tourist stop for tours for Phang Nga Bay originating from Phuket. There are millions of cheeky monkeys running around, especially outside the cave. 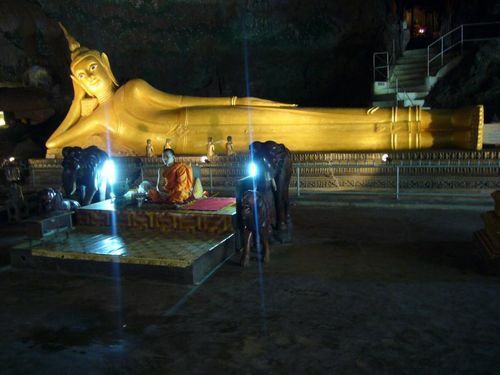 Inside the cave, there is a giant reclining Buddha as well as countless other Buddhas in different postures.